Can Men Look Younger Using Cannabis? After numerous researches, there’s lots of evidence that indicate that endocannabinoid system plays a critical role when it comes to the aging process. As experts explains, consumption of cannabis on a regular basis, maybe your answer to containing your fast aging process. You don’t have to undergo through stressful and expensive invasive surgery, boring diets, supplements or the magic diets, all you need is just cannabis. We mostly acquire antioxidants from the foods and supplements that are rich in vitamins C and E. however, cannabis is a powerful source of vitamins C and E and, as such provides lots of antioxidants to our bodies slowing the aging process. As a man gets older, the obvious signs are hard to ignore. We are more inclined to see the exterior signs such as wrinkles, sagging skin, and the hair turning gray or white. We fail to recognize that these exterior signs are exhibits of what is happening inside our bodies like your brain getting old. The renowned blog CBDTrust notes that the aging of brain results to various neurodegenerative disorders and is the reason why diseases like Parkinson’s, multiple sclerosis or Alzheimer are high amongst the elderly people in the society. Similarly, ageing of the brain leads to 708460012ognitive decline and can be seen in memory loss and challenges in paying attention. Lots of evidence show that how cannabis is a neuro-protective agent which slows down, or in some instances even reversing the effects of brain aging. It’s no doubt that cannabis is essential in protecting the brain from age associated toxicity. The brain consumes a lot of energy in transmission of information to different body parts. This process leads to oxidative strain that over time causes the functioning of the brain to slow down. Aging brain also leads to accumulation of high levels of glutamate which is a transmitter which aids in nerve cell signaling. The high level of glutamate causes cellular damage which is a major cause of various neurodegenerative disorders that are common among elderly people in the society. The use of cannabidiol (CBD) can help in in reduction of oxidative strain in the brain and effectively reduce the levels of glutamate. This ensures that your brain does not age fast and you’ll not be affected by the negative neurodegenerative disorders. The neural inflammation is a common cause of oxidative stress which leads to neurodegenerative diseases. However, use of CBD helps reducing the neural inflammation which ensures your brain stays younger for long. The organization also explains how use of small quantities of THC can help in reducing amyloid production which is a protein that leads to death of brain cells and causes neurodegenerative disorders. The THC is a potent antioxidant that contains neural protective properties which helps in suppressing Alzheimer and its effects. Apart from the mental value of cannabis in decelerating the aging process, there is also enough evidence that indicates that it inhibits the physical marks of an aging skin. The cannabidiol (CBD) found in cannabis is useful in reduction of wrinkles in various ways. CBD can be an ingredient in creams and body lotions which helps in moisturizing a dry skin ensuring it remains glowing at all times. You can also make CBD to be part of your diet by consuming it directly which has antioxidants that neutralize the negative effects of roaming radical oxygen particles. If you are looking at the benefits of cannabis and have decided to enjoy the pros, while most of the people find smoking it as the easier way, the organization advocates for use of vaporizer to ensure you do not consume the carcinogenic smoke that come with marijuana cigarette. The people to take the cannabis as a diet via edibles as this will get into your blood stream fast, and act as an antioxidant in your brain. 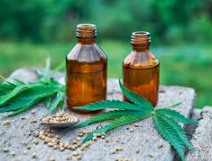 You can also look for beauty products that contain CBD as a critical ingredient as this will help in restoration of your skin and slowing the aging process.